Home » Tagged "Africa Opportunity"
The Competition is presented by the Centre for Human Rights based at the Faculty of Law, University of Pretoria, in partnership with the Academy on Human Rights, Washington College of Law, American University and the United Nations Human Rights Council Branch (HRCB) at the Office of the High Commissioner for Human Rights (OHCHR). The Competition will be held in English, French and Spanish. The Competition is open to both undergraduate and master’s degree students. A team of two students from each university is invited to participate. In the preliminary rounds, students submit heads of argument for a hypothetical case, which are assessed by a panel of experts. The best 10 teams from each UN region are then invited to participate in the pre-final, quarter-final, semi- final and final rounds of the Competition in Geneva. Teams then have to argue the two sides of the hypothetical case, representing, alternatively, both the Applicant and the Respondent before a ‘bench’ of human rights experts. 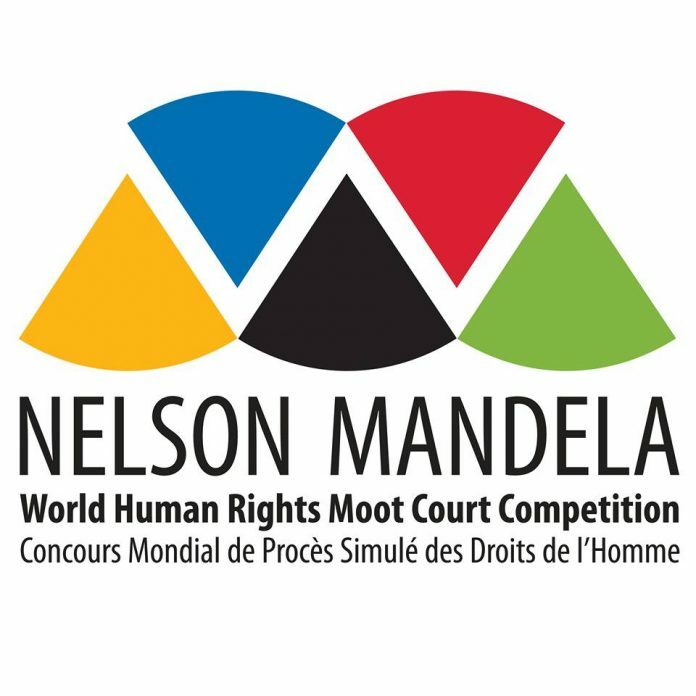 The 2019 Nelson Mandela World Human Rights Moot Court Competition will for the third time host the Nelson Mandela World Human Rights Moot Court Competition Annual Lecture, featuring some of the world’s most prominent international lawyers. United Nations Human Rights Council Branch (HRCB) at the Office of the High Commissioner for Human Rights (OHCHR). 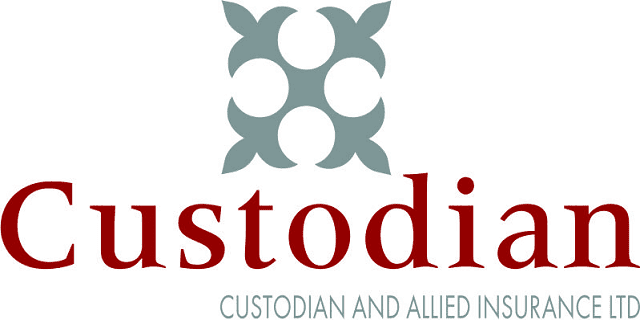 Advocacy strategy – creativity and originality, cooperation mechanisms deployed. An independent panel will review the submissions and select the top stories. Winning applicants will be invited to present their stories at a joint ICN-World Bank Group event, and winning stories will be featured in an ICN-World Bank Group Publication. Winners and honorable mentions will be announced by March 31th, 2019. Competition agencies, sector regulators and other government and non-government organizations promoting competition policy are welcome to apply. If you are a government body or non-governmental organization that is not a member of the ICN, you should reach out to the ICN member in your jurisdiction to inform about your intention to participate in the contest. A list of all ICN members is available here. Joint submissions from governmental bodies or non-governmental organizations are encouraged. Please contact Guilherme de Aguiar Falco with any questions at [email protected]. The deadline for submissions is January 18th, 2019 (11h59 pm, Washington D.C. time). Visit the Official Webpage of the ICN/World Bank Group 2018/2019 Competition Advocacy Contest. If you meet all of the above, please click below to apply. UNESCO MGIEP and ActionAid Arab Regional Initiative will be organizing the 8th edition of the Talking Across Generations on Education as the main launch event. Along the vision of mobilizing youth voices for inclusion in the highest levels of policymaking processes, the TAGe will bring together, on an equal platform, 9 distinguished Arab youth and 3 senior decision makers to brood together and interrogate each other on the theme: Arab Youth: A Force for Good. Specifically, they will deliberate and share actionable ideas on education, youth civic engagement and prevention of violent extremism. 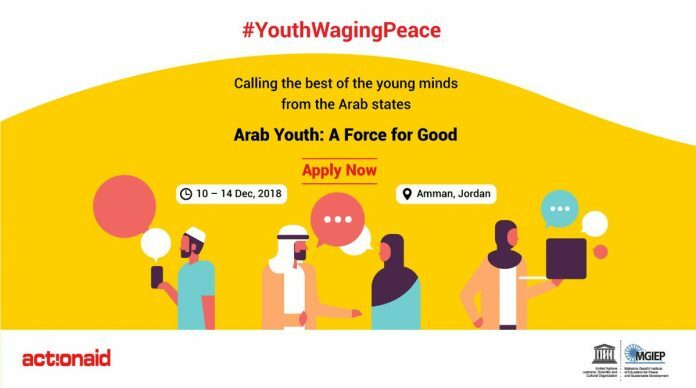 From this call, UNESCO MGIEP and ActionAid Arab Region will select 25 youth for the 3-day #YouthWagingPeace Young Peacebuilders’ Workshop, 11-14 December, Amman Jordan. 15 of the 25 selected applicants will be from Jordan and 10 from the Middle East and Northern African countries. From this 25, nine youth will be selected to participate in the TAGe MENA event on the Official Launch of the Arabic Version of #YouthWagingPeace – Action Guidelines for PVEE on 10 December 2018. Each selected applicant might have the opportunity to be one of the 9 TAGe youth as well as part of the 3-day workshop. • Active – on the ground: must be currently involved in the ‘area of expertise’ listed above. The applicant must be currently working with communities and stakeholders on the ground. • Accepted applicants will get to learn new skills (critical inquiry skills, socio-emotional competencies, facilitation, stakeholder and resource mobilization skills etc.) as well as meet and work together (during the workshop as well as implementation of follow-on activities that will emanate from the workshop) with fellow youth from the region as well as the world on prevention of violent extremism. Enel Foundation announced today the launch of the Open Africa Power 2019 call for applications. Open Africa Power is an education venture initiated by Enel Foundation in 2018 in partnership with top Academic institutions such as Strathmore University from Kenya, the University of Addis Ababa from Ethiopia, and Italian institutions such as the Politecnico di Torino, the Politecnico di Milano, Bocconi University and Florence School of Regulation. The program aims to forge a new generation of African leaders deeply engaged with their countries clean energy future. 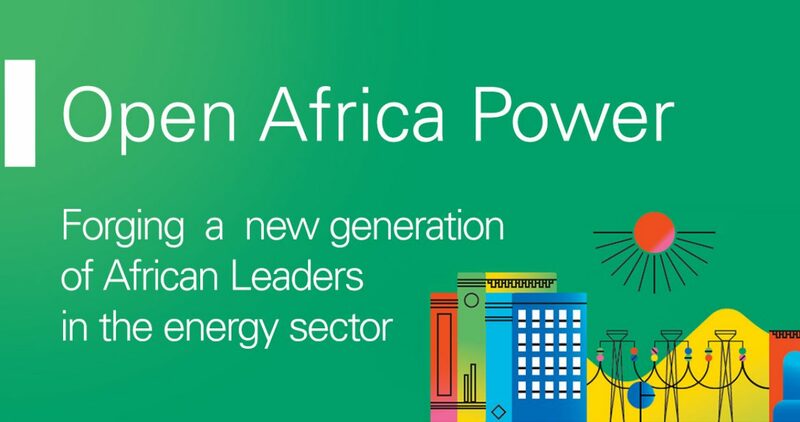 After involving 29 selected candidates in the inaugural module of the first edition, Open Africa Power’s second edition, taking place in 2019, will engage up to 60 African students and alumni in a series of professional development and leadership activities, comprising residential training modules in Ethiopia and Italy in 2019. Open Africa Power program is open to high-profile African graduates wishing to acquire an holistic knowhow of the electricity sector, enhancing the technical, regulatory and business skills required to work in the private and public sector towards the electrification of Africa. Precisely for this reason, from this year, candidates living abroad but wanting to relocate back to Africa will also be admitted. The faculty will consist of local and international experts, as well as employees of Enel. The Open Africa Power selection process is an open, merit-based, competition. The application period opens on October 25th, 2018, and closes on November 26th, 2018. Be fully proficient in English. Three references from industry, academia and/or civil servant representatives. Inquiries regarding the program must also be sent to : [email protected]. Do you consider yourself a global citizen? Each year, a maximum of three (one-time) scholarships each worth EUR 5,000 are available to prospective master students. We are seeking intelligent, talented and ambitious people who view themselves as citizens of the world. Come from outside The Netherlands and don’t live in the Netherlands. Are enrolling for the first time at The Hague University of Applied Sciences. Have never applied for this scholarship before. Have been conditionally accepted as a student (also-called offer of student position) on or before 31 March for the upcoming academic year. Apply for the Master programme of your choice by using the online application tool. Write an essay (in English, 950 to 1100 words ) explaining why and how you can contribute to the multinational, multicultural beehive that is The Hague University of Applied Sciences and how you can contribute to the programme of your choice. Please read our essay guidelines and information on the assessment procedure below before you start writing. Submit your essay by completing the scholarship application form between 1 November – 31 March. We have appointed a committee to judge all essays. The judges will select the three students whose essays will have impressed them most to receive the scholarship. The decision of the jury is binding and you will be informed about it via email before 15 May. Please note that you will only be awarded the scholarship after you have been conditionally accepted and have met all terms and conditions of enrolment. Once the scholarship has been definitively awarded, the relevant amount (€ 5000) will be waived from the tuition fee as being the last instalment. By submitting your essay, you are giving us the right to publish it, if we wish to. Scholarship winners are also expected to participate actively in the programme and its evaluations, become an ambassador of the Master programmes, and contribute to the internationalisation of our institution. If you have any questions before applying, please email us via [email protected]. Please make sure you read the ‘Regulations for Financial Aid Master Programmes. It contains detailed information regarding this scholarship programme. 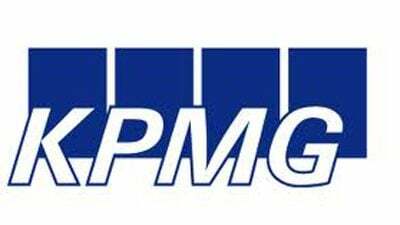 KPMG is a global network of independent professional services firms with deep expertise in the provision of audit, tax and advisory services to clients in various industries and sectors of the economy. The Firm is well represented in Nigeria and across the African continent, with the objective of providing exceptional and quality services to multinational, regional and local clients and to enhance the product offerings in certain previously under-serviced markets. division) degree at first degree. Please note that OND and HND qualifications are NOT eligible. at Law school (For Law graduates only). Application Deadline:December 31st, 2018 5:00 pm EST. The Global Undergraduate Exchange Program (Global UGRAD) is sponsored by the U.S. Department of State’s Bureau of Educational and Cultural Affairs. It is a fully-funded scholarship for one semester of non-degree academic study at an assigned U.S. college or university. Participants are emerging leaders committed to their home communities. During the Program, Global UGRAD participants challenge themselves to explore U.S. society, culture, and academic learning. They also participate in community service and enhance their professional skills. All participants will be enrolled in full-time, non-degree, undergraduate course work chosen from their host institution’s existing curriculum. Participants will be required to take one, 3-credit U.S. studies course to enhance their understanding of the United States. Participants will live in campus housing facilities with American peers, and will be required to participate in twenty hours of community service. There will also be a virtual arrival orientation and an in-person end-of-program workshop. Undergraduate students from all fields of study are encouraged to apply. 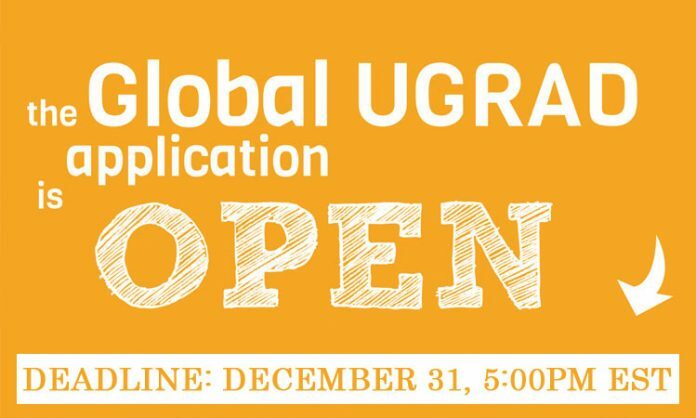 Applicants must be a citizen of the country in which they apply for the Global UGRAD Program. Applicants must be studying in the country in which they apply for the Global UGRAD Program. Scholarships will be granted to students who currently are enrolled in full-time undergraduate programs only, having completed a minimum of their first semester of study. Participants must have at least one semester or an equivalent term to complete at their home institutions upon completion of the Global UGRAD Program. Applicants should demonstrate leadership potential through academic work, community involvement, and extracurricular activities. Applicants must achieve minimum TOEFL score of 45ibt. Preference will be given to those who have had little or NO experience in the U.S. or outside of their home countries. Applicants are required to return directly to their home country after the completion of the program. Algeria, Albania, Armenia, Azerbaijan, Bahrain, Bangladesh, Belarus, Bosnia-Herzegovina, Burma (Myanmar), Cambodia, China, Costa Rica, Dominican Republic, Egypt, El Salvador, Ethiopia, Georgia, Guatemala, Haiti, Honduras, India, Indonesia, Israel, Jordan, Kazakhstan, Kenya, Kosovo, Kuwait, Kyrgyzstan, Laos, Lebanon, Macedonia, Malawi, Malaysia, Maldives, Mauritania, Moldova, Mongolia, Montenegro, Morocco, Mozambique, Nepal, Nicaragua, Niger, Oman, Palestinian Territories, Panama, Paraguay, Philippines, Russia, Saudi Arabia, Serbia, South Korea, Sri Lanka, Tajikistan, Thailand, Turkmenistan, Ukraine, Uzbekistan, Venezuela, Vietnam, and Zimbabwe. Students who wish to participate should be in their senior year and should be enrolled in any of the Dell EMC External Research and Academic Alliance in the Turkey, Middle East and Africa region.